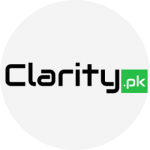 UpRenting is Pakistan’s first person to person renting platform where you can rent anything. UpRenting offers features like escrow payments (wiki: an escrow is a contractual arrangement in which a third party receives and disburses money) and ID card verification which means lenders can enable Verify ID on their item and it will require the borrower to have his/her account verified through CNIC. Uprenting platform enables borrowers and lenders to register at the platform and exchange items with money by renting it. To do that, Escrow is used to make sure there is no money dispute. UpRenting holds the security deposit of borrower and rental charges of the lender until both lender and borrower reach to consensus by giving ratings to each other. When you handover item to the borrower you have to mark your order as “Start Renting” and when you receive item back press “End Renting”. It’s like an Uber ride. We hold rental charges and security deposit until both borrower and lender are happy by giving rating to each other. We charge 3% fee. Why UpRenting, whats the need? I saw a gap in the market. We had no renting platform, people were posting renting ads on OLX and on classified sites. So i decided to make one. UpRenting is currently looking to get more and more items on the platform which will be available for rent. Their target is to get at least 1000 items and then they will actively look for borrowers. UpRenting can save and make people money especially when it comes to expensive and less frequently used items such as wedding or party dresses, shoes, or accessories. You won’t repent on spending money on such items as they won’t remain in your closet forever. You can turn it into cash by sharing it with others. UpRenting also holds the security deposit for the customer until both lender and borrower finalize the deal and give rating/feedback to each other. Not much! Actually this type of service has been missed quite much and was a gap in the market. We had no renting platform in Pakistan. Few small outdated listing sites but those are not updated and looks close to be abandoned. UpRenting is not just a listing platform it is a complete renting platform with features like Escrow payments and CNIC verification. Usama Khalid – the young founder of UpRenting.com has been in the startup scene for only an year. Usama started with launching a shopping service which let people do international shopping with Bank but he closed it after running for a year because his ambition was to focus on something that market needs more. Dont forget to checkout the startup uprenting.com.